Did you miss hiring targets in 2018? We’ve identified the most effective approaches for recruiting the software engineers of the future. Each fall, university recruiting teams race their peers to hire promising software engineering talent into intern and new graduate roles. Strong university recruiting programs have the opportunity to grow careers and put intellectual horsepower behind innovation. Lack of recruiting resources to go beyond core schools. Shortage of their own software engineers to do the interviewing. Not enough time to complete interview loops and extend offers. Some companies are changing their approach in order to move faster, turn candidate experience into a competitive advantage, and find tech talent hiding in plain sight. To highlight the most effective techniques we dove into thousands early career candidate technical interviews conducted during the fall recruiting season. Lesson 1: Interview as early as possible. Have you ever felt like the top students get more offers, earlier in the fall, than others? You may well be right. In 2018, onsite to offer rates worsened from September to December — to the tune of 8%. While this may not be too surprising, the data also showed a 27% decline in performance on technical interviews during that same time period. 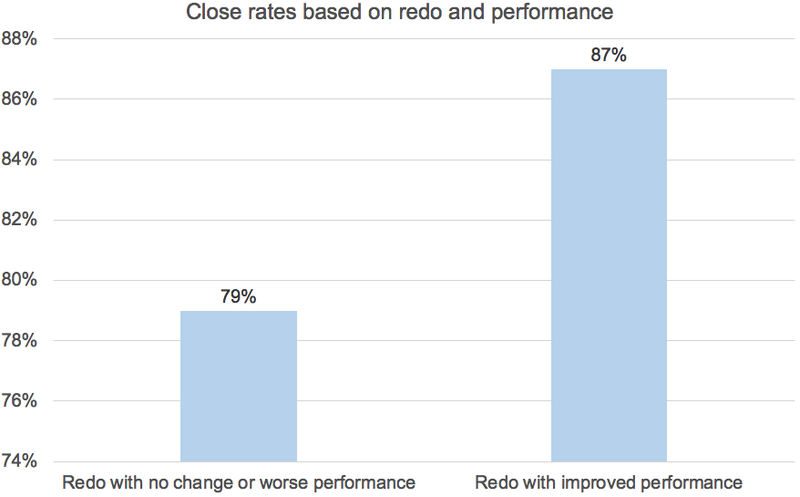 This correlation between poor performance and onsite to offer rates is no accident. Many students return to campus having just completed a summer internship, bringing with them recent practical experience that they can apply to interviewing. Additionally, as students get deeper into fall, they also get busier with classes and have less time to practice in order to keep their most relevant job skills sharp. Lesson 2: Flexibility is in high demand. Expanding the hours in which you interview early career candidates can help your team move faster while leaving a positive impression on candidates. In fall 2018, 53% of early career candidates completed their technical interviews on nights and weekends — up from 49% in 2017. Software engineering job candidates interviewing through Karat have the ability to interview 24/7, which accelerates the interview process for university recruiters and candidates. It ensures that a greater volume of interviews can be conducted earlier in the fall, leaving more of the season to complete onsites and achieve hiring targets. Lesson 3: Early career candidates’ performance improves on their second interview. Candidates interviewing through Karat get a unique opportunity: a chance to redo their interview. Last fall, 18% of early career candidates choose to do so because they felt they could perform better. Often, they do. More than a quarter of early career candidates (28%) who took advantage of the opportunity to redo their technical interview improved their performance. This group was much more likely to come from a school outside those commonly referred to as “top 10” computer science schools. When candidates redo their interview, they do so by completing a different question than the original. New college grads and students may have never done a technical interview before, so it’s not surprising that they appreciate the option to redo it, and perform better the second time around. This is significant for both candidates and recruitment teams because it has a dramatic impact on close rates. Lesson 4: The ability to redo an interview uncovers strong candidates hiding in plain sight. A whopping 87% of early-career candidates who completed a redo interview — and performed better — received and accepted offers. This group was more likely to accept an offer than those who completed a redo but saw no change in performance or didn’t perform as well (79%). Both groups were more likely to accept offers than students who didn’t complete a redo at all. Giving software engineering candidates the opportunity to redo their interview may seem unorthodox, but it is a clear pathway to identify talent that would otherwise remain hidden. Lesson 5: Being intentional about sourcing from a diverse talent pool works. Early career hiring is a clear opportunity to diversify the software engineering talent pipeline — and when a company is intentional about this, it really works. The percentage of female candidates interviewed through Karat increased to 35% in 2018 from 25% in 2017. This marked improvement is most likely the result of clear intention and focus on recruiting from career fairs, events, and institutions with more diverse candidates. This proactive approach is a winning strategy: it leads to a more diverse workforce that fosters inclusiveness and improves the company’s attractiveness for future female candidates. Winning the race for tech talent is all about innovation. Success this fall will depend on adjustments you make based on last year’s learnings. Using the same strategy as in 2018 may yield acceptable results, but its shortcomings are likely to intensify and make it progressively difficult to maintain an advantage over other teams competing for the same future software engineers. This fall, look to speed and flexibility to help achieve your hiring targets. To find out more about Karat and how we’re boosting interviewing capacity on software engineering teams, visit us at Karat.com.